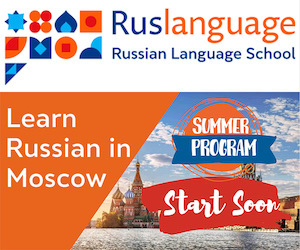 This lesson continues the description of methods for learning new Russian words. You may also want to review the first part of the article for more methods. Memorizing is sound with this method though significant inner effort is required. The method is to be used before going to bed only. First, make a list of 20 words as you did with the traditional method. Focus on the task of memorizing the words for good. Strain all your will and attention. Remaining highly concentrated, read the first word and its translation out loud. Imagine the word as brightly as possible. Now, stay focused and repeat the word again in a whisper, and one more time to yourself with your eyes closed. After this relax for 15 seconds and go to the next word. Thus, all the information will shift to the subconscious. You should not think about the words anymore when you go to sleep. Review the words in the morning. Here a Russian word should be divided into syllables. For each Russian syllable find a word from your native language that would begin in a similar way. Then make up a sentence from your words and finish it with the translation of the Russian word. One important thing is that your sentence should have some sense. Russian "prahvahdneek" stands for "a guide"
PROper VODka came to a pretty NICKle to a GUIDE. Russian "choodo" stands for "marvel"
I CHOOse the DOOR that would make my house a MARVEL. It is easier to remember an original sentence. The mind picks out proper syllables and translation of the word by its own accord. Here you will learn new words while you are sleeping! You will need an assistance. 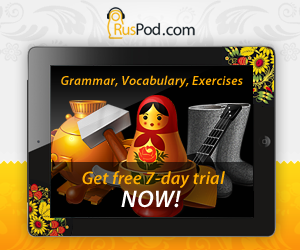 Record 35 to 50 Russian words and phrases and their translation to your native language. Just before going to bed read the words aloud slowly from your list and then listen to the recording two times. Do not focus on what you hear but simply repeat the words aloud. You can fall asleep after that. After you have fallen asleep your assistant should play the recording during 40 minutes several times reducing loudness gradually. In the morning the process should be repeated in the reverse order. Your assistant should start playback half an hour before you wake up. He or she should make loudness low at the beginning and increase it gradually so that it make you wake up after half an hour. Being woken up, listen to the end of the recording with your eyes closed. The method allows to memorize up to 50 words at a time.